Labour's Democracy Review must be about more than the 'nuts and bolts' of our party, writes Omar Salem. However, this review, like every other recent review of Labour’s democratic processes, has missed a key aspect of democracy: culture. It is easy to think of democracy as being about elections, motions, votes and so on. There is no doubt all those things are important but, at its heart, democracy is a moral belief that everyone deserves a say, and that democratic debate and discussion leads to better decisions. That can only be realised by having a democratic culture – by Labour members showing each other some respect. Culture can be defined in many different ways, but a simple and compelling one is that it is “how you do things”. 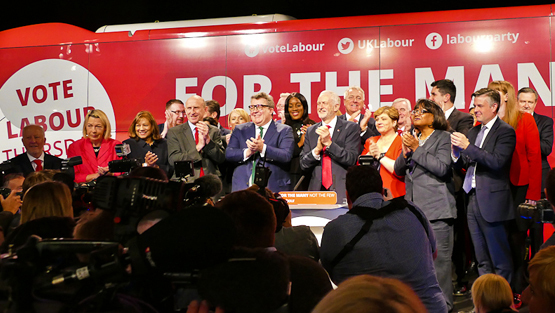 Although the Democracy Review has not yet been formally published, according to LabourList it contains a plethora of reforms to Labour’s democratic structures, from changing the nominations needed to stand for the Labour Leadership to changes to how regional Labour Parties. And while there is a welcome focus on political education it is, so far, unclear what this will mean in practice to change “how the Labour Party does things”. The Labour Party should not just be a formal democracy, in the sense that votes and elections happen, but also a cultural democracy. That is to say, a democracy where every voice and view is valued – not just because everyone should be treated equally but because every voice has the capacity to enrich our democracy. Key to this is believing that you can learn from those who have different views from you and that different perspectives are valuable, not a threat. The political theorist Joshua Cohen has described how collective decision-making is different from bargaining, contracting and other market-type interactions, because it focuses on a conception of the common good that is not comprised simply of interests and preferences. That is the approach to democracy Labour should be aiming for – and I am sure that almost every Labour Party member would agree in the abstract with these ideals. Indeed, Clause 4 talks about living together in a “in a spirit of solidarity, tolerance and respect”. Sadly, the Labour Party is very far from this ideal. It is more polarised and divided than anytime, with ideas, and indeed election candidates, judged not on their merit but which faction they emanate from. The manner in which the anti-Semitism debate has been conducted in the party is illustrative of the problems with Labour’s culture. Discussion in the Labour Party is often the opposite of what the sociologist Jürgen Habermas described as the ideal deliberative process, in which he said “’no force except that of the better argument is exercised”. It is ironic that a democratic socialist party has a democratic culture that is in many respects closer to market-type interactions of simply adding up votes – rather than working collaboratively to understand different points of view, work for consensus and focus on what will be achieve the common good. Not only the Labour Party, but all the political groupings that operate within it, Progress, Momentum, CLPD and Open Labour, amongst others, must take responsibility for Labour’s current political culture, which has become in many ways corrosive. Calling fellow Labour Party members Tories, cranks or trots is not consistent with our values and the Democracy Review should make that clear. Uncomradely behaviour seems to be tolerated so long as it comes from someone on “your” side. So how can this situation be turned around? Key to having a Labour Party where every voice is valued and ideas are evaluated for their contribution to the common good is the culture that permeates the party. Almost every major institution, from hospitals to FTSE 100 companies will expend a significant amount of effort in considering and shaping their culture. It is impossible to set down all the possible remedies to improve Labour’s culture but there are a few places where Labour could start. 1. It is difficult to change the culture of an institution if you are not clear about what you want to change. So, an initial step would be for Labour to set out a clear articulation of its expectations for its culture of the party. 2. Those ideals need to be embedded in the day-to-day practices of local parties. A key part of Labour’s political education strategy should therefore be focussed on promoting a democratic, participatory, pluralist and inclusive culture. Every CLP could spend part of a General Committee meeting to discuss how it could promote a more democratic and inclusive culture. 3. Labour needs appropriate and effective disciplinary measures to deal with those who fail to uphold our democratic values and bring the party into disrepute. 4. Labour needs to measure and monitor the efforts to build a more inclusive democratic culture to learn lessons and improve our approach. These changes would be a good start to building a democratic culture of respect in Labour that lives up to our democratic socialist ideals. Omar Salem is Labour Party member in London.